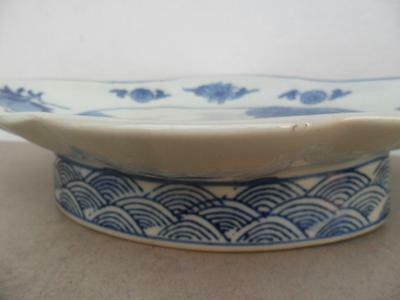 More picture of blue and white footed bowls. Is this Chinese or Japanese? Thanks for your comment. The bowl looks recent as you say. Highe footed Bowl for altar offerings. 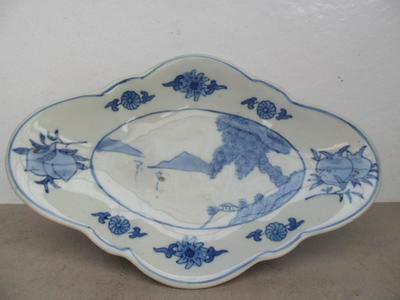 Blue and white is unusual for this type of bowl. 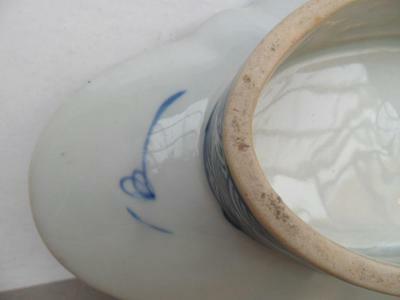 Glaze and blue tone looks more like a more recent item, perhaps even printed. Check with a magnifer for signs of transfer printing or upload a closeups shot with good resolution. I would think this is not 19th century, but perhaps vintage.